Moving the mark on the bottom of the plot screen to find the -70dB of attenuation on notch frequency 433.5MHz. We can tune the notch frequency with the capacitor of 6.14pf on the simulation screen. 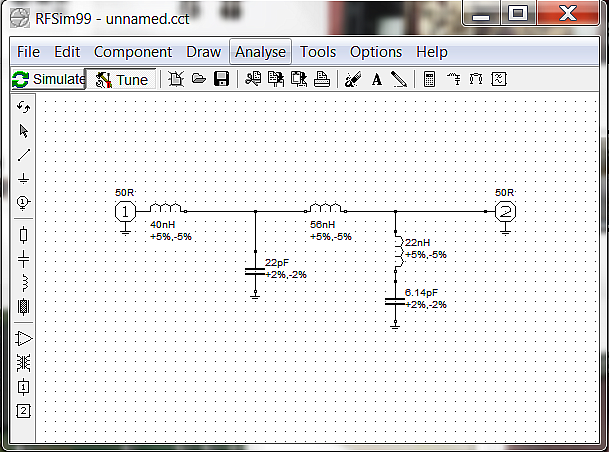 3) Use the components library to make the air cored inductor. Calculate the physical size and turns for the air cored inductor of 40H. 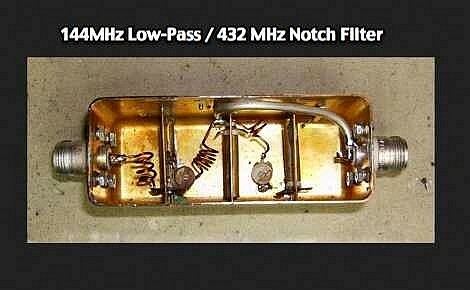 Reference: The picture of the sample is the combined 144MHz low pass and 432MHz notch filter, it was made by Bertrand Zauhar. 3) Download the file, un-zipped with Winrar ( Download Winrar) , use the software directly.